Home The NewsMill Minorities feeling threatened under ruling dispensation: Farooq. Minorities feeling threatened under ruling dispensation: Farooq. 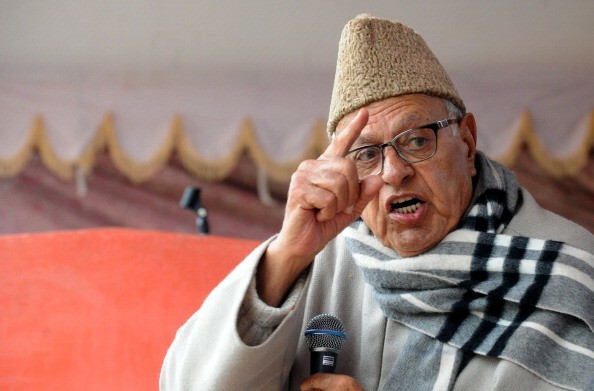 National Conference president Farooq Abdullah Friday said the ruling dispensation was creating rifts between various religions and the minorities were feeling “threatened”.He was speaking at a function organised here to welcome former IPS officer Shafqat Ali Wattali into the party fold. “Unfortunately, in this election, the party that is ruling is creating a rift between various religions that is a tragedy for the country. Muslims feel threatened, minorities feel threatened…that is unfortunate,” Abdullah told reporters.He said Prime Minister Narendra Modi should make it clear that the country does not belong to only “one party or a particular sect of people”. Reacting to the Supreme Court’s decision to refer the politically sensitive Ram Janmabhoomi-Babri Masjid land dispute case for mediation, the NC leader said he would not go against the court’s decision. It is fine that both the parties agreed for mediation under the Supreme Court. And we too accept the decision,” he said.The Supreme Court on Friday referred the Ram Janmabhoomi-Babri Masjid land dispute case for mediation by a panel headed by former apex court judge F M I Kallifulla and gave it eight weeks to complete the process. On the crackdown on separatists and Jamaat-e-Islami Jammu and Kashmir, the former chief minister of Jammu and Kashmir said “repressive measures” and jailing people won’t solve any issue. Previous articlePak registers FIR against IAF pilots for bombing trees: Report. Next articleAdmin focusing on ‘fragile’ parts to ensure smooth conduct of polls: Advisor Vijay Kumar.